• Variable blade pitch, which gives the turbine blades the optimum angle of attack. 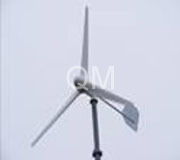 Allowing the angle of attack to be remotely adjusted gives greater control, so the turbine collects the maximum amount of wind energy for the time of day and season. 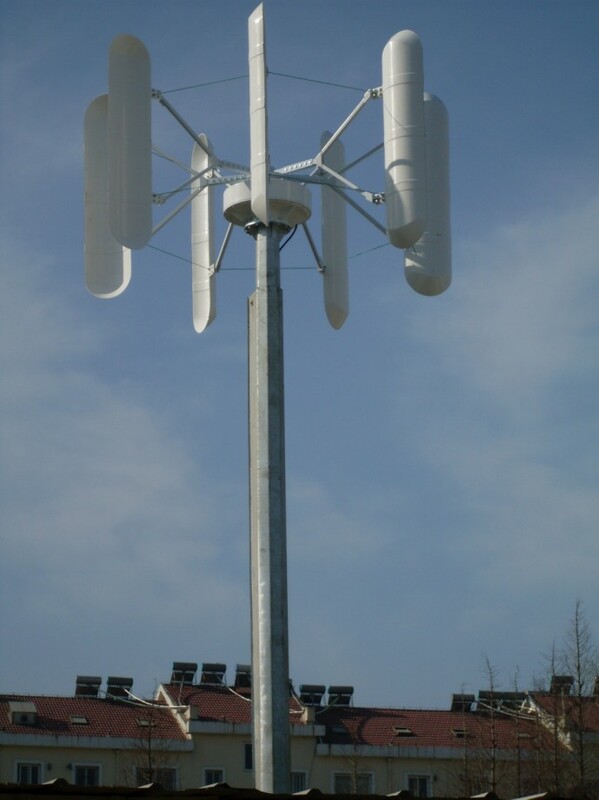 • Tall tower allows access to stronger wind in sites with wind shear. 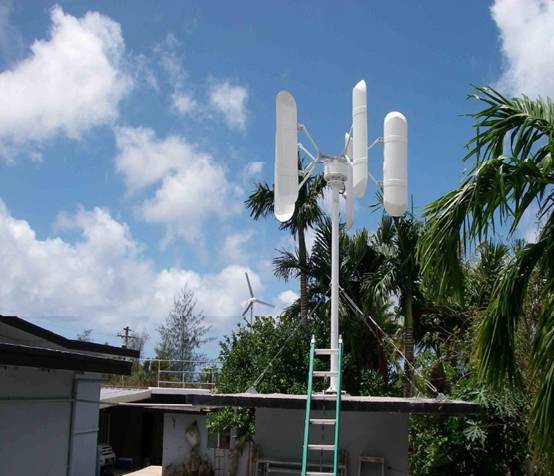 In some wind shear sites, every ten meters up, the wind speed can increase by 20% and the power output by 34%. • HAWTs have difficulty operating in near ground, turbulent winds. 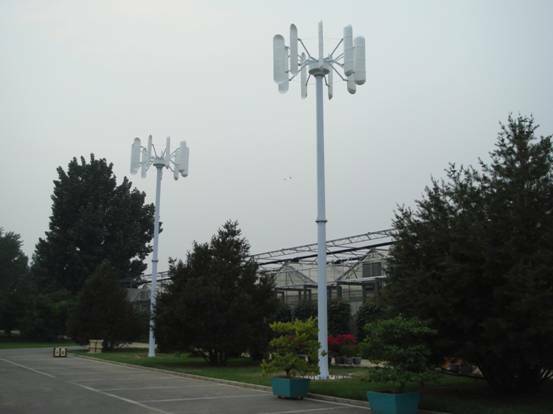 • The tall towers and long blades up to 90 meters long are difficult to transport on the sea and on land. Transportation can now cost 20% of equipment costs. 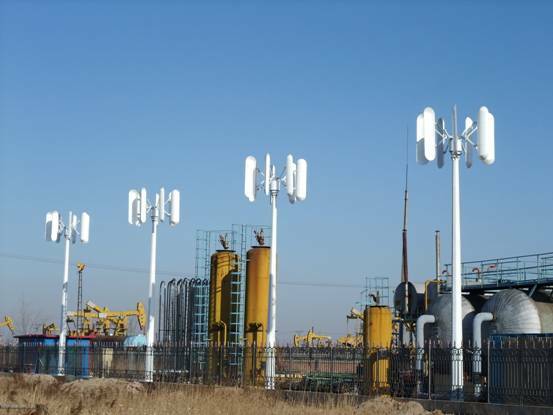 • Tall HAWTs are difficult to install, needing very tall and expensive cranes and skilled operators. 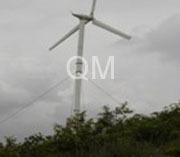 • Need massive tower construction to support the heavy blades, gearbox, and generator. • The FAA has raised concerns about tall HAWTs effects on radar near Air Force bases. • Their height can create local opposition based on impacts to view sheds. 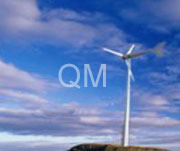 • Downwind variants suffer from fatigue and structural failure caused by turbulence. 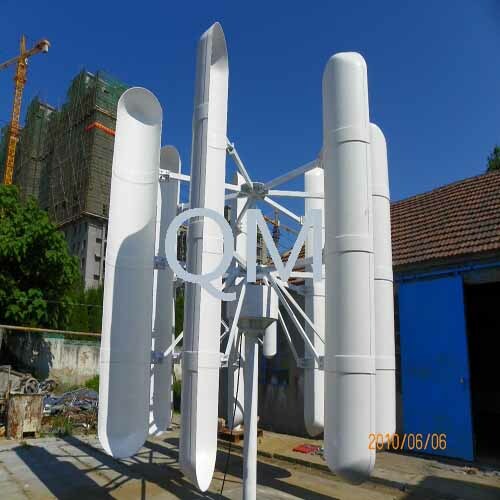 • Need additional yaw control mechanism to turn the blades toward the wind..
• Lower construction cost as compared to HAWTs because there is no need to build a massive tower structure to support the heavy HAWT blades and turbine assembly. 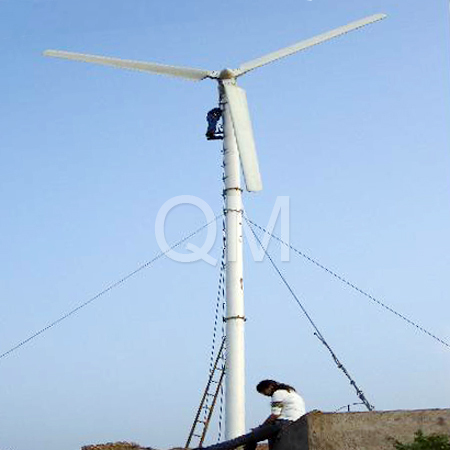 • As the rotor blades are vertical, a yaw drive device is not needed, reducing cost. • Can be easier to maintain if the moving parts are located near the ground. • VAWT's have a higher airfoil pitch angle, giving improved aerodynamics while decreasing drag at low and high pressures. • VAWT systems generate 50% more energy than its HAWT counterpart. Newer systems are made with rare-earth-alloy magnets which are 25 times stronger than ferrite magnets also eliminates any need for grease or oil since no parts actually touch each other. • Straight bladed VAWT designs with a square or rectangular cross section have a larger swept area for a given diameter than the circular swept area of HAWTs. • Lower wind startup speeds than HAWTs. Typically, they start creating electricity at 8 m. p.h. • Usually have a lower Tip speed ratio/Tip- Speed ratio so less likely to break in high winds. • Low height useful at location where laws do not permit structures to be placed high. • Mesas, hilltops, ridge lines and passes can have faster winds near the ground because the wind is forced up a slope or funneled into a pass and into the path of VAWTs situated close to the ground. • Does not need to turn to face the wind if the wind direction changes making them ideal in turbulent wind conditions. 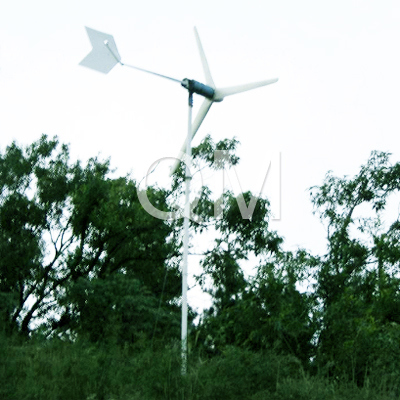 • VAWT blades are easily seen by birds so pose little threat to wild life.